Come see it with me at the Belcourt Theater June 26 - July 2. Let's all start eating real food again. I wish I could say that grilled cheese was comfort food for me when I was a kid, but I can't. When I was a kid, I was unbelievably allergic to certain types of cheese that went into the typical grilled cheese or macaroni and cheese. Things were not pretty when I ate cheese, every major organ that could have a reaction to the cheese reacted to the cheese. I would swell up so much that even my eyelids would swell shut and I couldn't see for days. Breathing is a necessity of life, and that was hard too. Oh, the full body discomfort, pain, itching after a bite of grilled cheese was absolutely not worth it. The thing about cheese that was actually the worst part was scaring the crap out of my mom when she saw how I reacted to grilled cheese. By the time I went to college, I could eat small amounts of real cheeses (not that fake stuff in USA grocery stores). When I got to college, I thought it was time for me to try eating grilled cheese and mac and cheese just because the other univ. food was so horrible, low grade, ill prepared food, that I would risk all the childhood full body reaction for some food that wasn't terrible. To my luck, I have nearly outgrown the allergies to nearly all cheeses, and all I get is some slight puffiness and congestion, but that is it, and I can definitely live with that. Given a choice now, I would opt for a hot grilled cheese sandwich over any coldcut sandwich any day! I still don't eat grilled cheese often, it usually is made once per year in my house, because I did not grow up with this traditional kid's food, and I don't normally think of it. I love grilled cheese, and I wish I could think of it more! It has texture, it has buttery goodness, it has oozy cheesy tanginess, and cutting it into 2 triangles gives the dish a nice visual shape. I can see why adults call this comfort food from childhood, and think of it fondly. It is warm and inviting, and seems to bring a smile to all who eats grilled cheese. If I can get a good grilled cheese, I am going for it! 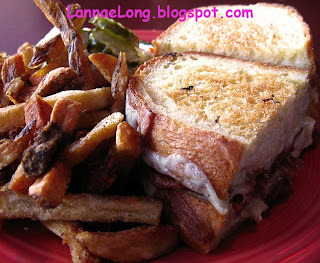 I was so lucky to stumble upon Melt, the Grilled Cheese bar and grill in Cleveland. It is up on Detroit Ave in the town of Lakewood, a few blocks away from Lake Erie, on the north side of Cleveland. This little place has maybe a dozen+ tables, an extensive beer menu, extensive rootbeer menu, and an extensive grilled cheese menu. I can just imagine people of my generation being fed grilled cheese and root beer as weekend lunch. I was imagining how it must have been for the traditional American family that made grilled cheese at home when I sat down at Melt. The grilled cheese combos are make your own, or order one of the many combos. There are chicken, ham, veggie burger, and other proteins to add into the grilled cheese. 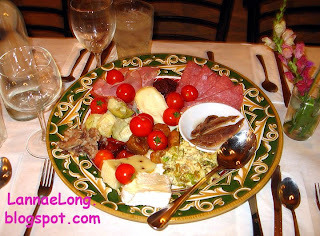 The cheeses include cheddar, American, provolone, swiss, vegan and more. I opted for the Wake and Bac which is 2 fried eggs, 3 pieces of hickory smoked bacon, cheese of my choice, all grilled in big slices of hand cut sour dough bread. The sandwich came with a big pile of fries and some fresh slaw. I got a sarsaparilla made with real cane sugar (none of this HFCS) to wash it all down. All this was about $10 total, and I only ate 1/2 for lunch, and took the other 1/2 for dinner. That is rather great in my mind to have a full day's food, restaurant made to order no less, for $10. The gig is, there is a really small kitchen at Melt, and everything is cooked to order. That means, be patient, you are gonna be waiting around for about a half of an hour, so perhaps an option of beer or root beer should be enjoyed while you wait. Melt has a variety of hot sauces to put on the sandwiches if you like, and they have Sriracha, that Thai spicy sauce. It was perfect with my Wake and Bac. Melt also Mexican hot sauces if that is your pleasure. The slaw was actually interesting to me. It is made inhouse with a little salt, black pepper, a dash of cane sugar, and a splash of vinegar. It was really good to me, and I usually don't like slaw. The waitress in my section was really knowledgeable about the food, ingredients and was an all around good staff member. I overheard her talking to the table next to me. The young woman was asking about vegan options for grilled cheese and any type of vegan meat substitutes. There is a complete vegan meal available here with vegan cheese, vegan sausage patty, and vegan bread. Vegans can't eat most American bread, especially sour dough because of the yeast involved. Sour dough, that is dough starter that is all about keeping a live yeast culture thiving by "feeding the mother" or as Anthony Bourdain would say "feeding the bitc@&" every week. I thought that was funny to go to a grilled cheese on bread restaurant when she won't eat the 2 main ingredients, bread and cheese, and then ask for a bread and cheese sandwich that really isn't bread and cheese. Amazingly enough Melt can do it, a complete non-cheese and bread, grilled cheese. I, however, opted for real cheese because I have been given the opportunity, in my adulthood, to enjoy the pleasures of cheese without having a reaction that could kill me. OK, for you out there reading this, and will be in Cleveland in July, take note... The word on the street is that Guy Fieri, host of Diners, Drive-Ins and Dives on the Food TV Network will be filming at Melt, to showcase all the great grilled cheese options you can get there. Melt will be shut down for 2 days for filming, because the kitchen is way too small for the film crew, Guy and owner chef to be in kitchen at the same time and even fathom to carry on a normal day's business. What that means for you, if you are up there, they will need people to sit in as diners and patrons of Melt. Who knows, this may be your day for fame on TV! The challenge has been offered. I took the challenge. See you in Maui, September 19, 2010 for the 40th running of the Maui marathon. I better start training now, it seems like I will need to get acclimated to the hot and humid weather in Maui, by running outside all summer long here. The weather channel said September is the height of summer in Maui, and Wunderground weather history for the past 5 years said highs of 95F and 95%-100% humidity. Everyone, mark your calenders for FOOD WEEK at the Belcourt! The hottest films of this year (in my foodie mind that is) are Food Inc, and Pressure Cooker, and they are going to be playing at the Belcourt Theatre. I have been wondering and waiting to see when Food, Inc was going to make it's debut in Nashville, and here it is! To learn about about food issues, and other issues through a film/visual medium, check out www.TakePart.com. As you know, I have already seen Pressure Cooker, and HIGHLY RECOMMENDED it to anyone with a screening near you, and here it is. Pressure Cooker will be playing at the Belcourt on Tuesday June 30 and Wednesday July 1st. Go see it. It is a "feel good" documentary about a teacher and students in a poor section of my former home town Philadelphia. I love Philadelphia, and I love this movie. In the incendiary new documentary FOOD, INC., filmmaker Robert Kenner lifts the veil on our nation's food industry, exposing the highly mechanized underbelly that has been hidden from the American consumer with the consent of our government's regulatory agencies, USDA and FDA. with a group of local and regional advocates and professionals working closely with these issues moderated by Carrington Fox, restaurant reviewer of the Nashville Scene. Generously sponsored by Whole Foods Market, who will provide light hor d'oeuvres. LAURA BUTTON – Co-owner of Journey to Bliss Raw Foods, a Smyrna-based maker of prepared, raw, vegan foods under the brand name Intentional Food. The "Intention" is to create great-tasting, highly nutritious food made from ethically obtained ingredients. CINDY DELVIN – President of Tennessee Organic Growers Association. Cindy also owns and operates Delvin Farms with her husband Hank and her children. WILL HARRIS – Owner/Operator of White Oak Pastures, Bluffton, GA, a Georgia based grass-fed cattle producer. CASSI JOHNSON - Director, Food Security Partners of Middle Tennessee and Vanderbilt Institute for Public Policy Studies. MARTY MESH - Executive Director of the Florida Organic Growers (FOG). Marty also serves on numerous agricultural boards in the US and works internationally with the advancement of organic and sustainable agriculture in developing countries. Filmed over two years and across the world – from the Straits of Gibraltar to the coasts of Senegal and Alaska to the Tokyo fish market – featuring top scientists, indigenous fishermen and fisheries enforcement officials, THE END OF THE LINE is a wake-up call in a world where scientists predict that if we continue fishing as we are now, we will see the end of most seafood by 2048. Whole Foods Market Green Hills Seafood Specialists will be on hand to answer questions regarding sustainability after the 7pm screening on Sunday night. Against the backdrop of the row homes of working-class Philadelphia, Wilma Stephenson has helped countless students reach the top culinary schools in the country. And under her fierce direction, the usual distractions of high school are swept aside as a group of high-schoolers prepare to achieve beyond what anyone else expects from them. The Oscar-nominated documentary THE GARDEN is an engaging and powerful look at the famous political and social battle over the largest community garden in the U.S (located in south central Los Angeles) which shows how the politics of power and greed (backroom deals, land developing, green politics, money) tragically intersect with working class families who rely on this communal garden for their livelihood. Some people I know, or have run into, who have never really spent time in Pennsylvania, or Pittsburgh, have rather harsh ideas about one of our oldest cities in the nation. The unfounded opinions about the 'Burgh are as unfounded as those opinions about Nashville and the south from those who have never spent time in Nashville or the south. I wonder why the 'Burgh gets such hard opinions? Is it because of the sound "Pit" in the name? Do people automatically think it is a pit? Believe me folks, the 'Burgh is anything but a pit when it comes to food. The 'Burgh still carries all the old world food traditions from East Europe and Italy. In the beginning of Pittsburgh, Iron City, Polish and Italian immigrants moved to the 'Burgh looking for work, a better life for their families, and the brought their cooking traditions with them, and those traditions live on today. I just get giddy when I think of spending a weekend in the 'Burgh, what am I going to taste and eat when I get there? What chef owned delights am I going to go manic over? Here is a chronicle of my last trip to the foodie heaven - Pittsburgh. To go to the 'Burgh, I actually fly into Cleveland, OH because I can get a direct flight, the airport is really easy, the airport car rental is fairly reasonable in cost, and it is a straight shot to drive from Cleveland to Pittsburgh on the turnpike. My trip started off around lunchtime, so we stopped into a Skyline Chili. Skyline has finally made its way from Cincinnati to Cleveland. 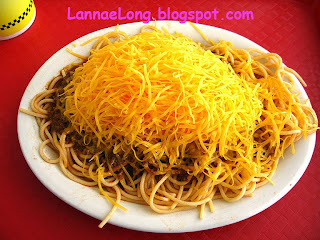 When I am driving through Cincy, it is a tradition to get Skyline. Since I was driving through Cleveland, and heard about the new Skyline Chili enroute, it felt right to stop in and get some Greek style chili 3-ways. I was going to get 5-ways with onions and beans, but I was in a car load of people, and I thought it would be kinder to the the others to not eat beans that would cause me to toot my own horn, if you know what I mean. After a quick lunch, off we went down the OH turnpike to the Pittsburgh turnpike, into the Butler Valley where Pittsburgh is. It was 1st Friday of the month when I got into the 'Burgh. On 1st Friday, Larry who is chef owner of Enrico's Biscotti on the Strip, offers a 1st Friday supper, 5-course meal, chef's choice, made with enthusiasm event. 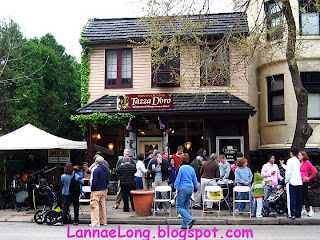 I have heard about 1st Friday supper for a long long time, and last autumn, I started making plans for a culinary trip to the 'Burgh centered around Larry's 1st Friday supper. Larry used to be a blue-chip company executive, with a love for biscotti and Italian inspired family style cooking. He gave up the executive life to follow his passion, cooking, biscotti, and wood-brick oven breads and pizzas. Larry also enjoys knowing about his food sources, his meats and eggs are from local grass fed farms and his veggies during the summer are from local organic sources. I was told that Larry did not want to be saddled with a dinner restaurant, staffing issues, daily issues etc, but compromised with an elaborate 5-course supper on 1st Friday to feed his passion for cooking, but not have to be saddled daily grind of a restaurant. I really love Larry's idea of 1st Friday dinner. 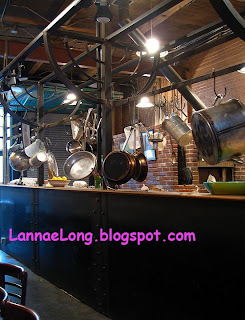 For years now, I have fantasized about being independently wealthy, and opening up a limited seating restaurant, that only serves once per month, a chef's choice dinner. I want to feed my love of creating great meals, but not the burden of the reality of having a traditional restaurant. The few that I have told about this idea laughed at me, but Larry has proved it can happen. Anyway, for 1st Friday dinner, we started with a family style antipasta plate including fresh sardines, anchovies, 3 cheeses from a soft St Andre to an aged cow's milk cheese, tomatoes, tomato jam, artichoke hearts, salumi, pickled veggies, and figs. There is something else I am forgetting. As we sat down at the long table, 2 other dinners sat near us. They were from a suburb of Pittsburgh taking in the town, wine tasting earlier, and then having 1st dinner at Enrico's. We talked about there horses, cats and dogs, they have a regular zoo that they love. Most of the pets the have are rescue pets. Given technology, we were sharing pictures loaded on phones and iTouches. It was fun to break bread with new friends. Our 2nd course was marinated flank steak, shaved cucumber salad and wood-oven roasted tomatoes. Our 3rd course was fresh baby field greens from a local organic farm with a balsamic dressing. Our 4th and main course was tagliatelle with fresh tomato sauce and giant peppers stuffed with local organic grass-fed beef and pork, and rice. The 5th and final dish was Larry's Enrico's Biscotti almond biscotti and a home made ricotti ice cream. Larry was so joyful to cook and share his meal with all of us. The energy from him and his staff that night was just heartwarming. What Larry is creating is fulfilling the image of the big extended family dinner I have in my mind, except the extended family are cheery strangers at the table with me. Hopefully in the fall, before snow comes, I can make it back out to the 'Burgh and parttake in 1st Friday supper again, and bring some other foodie friends with me to bask in the full-body dining experience. Early in the morning, before anyone awoke, B took the dog for a walk, and then went to a bakery and food co-op. The bakery he went to is not on the Strip, but is owned by a baker from Normandie. The baker would have stayed in Normandie, if it had not been for a lovely Pittsburgh woman visiting his home town. He was smittened, married his love of his life, and moved to the 'Burgh to be with her and family. That is true love. The rest is history. The 'Burgh has this lovely bakery with real croissants that can compete with any croissants I had in France during my vacation. The reason why these croissants are so dang good is because the baker is the real deal, he holds that French croissant secrets, and ovens imported from France. B also got a bunch of fresh fruit from the co-op, and cut them up for us. Just look at the photo, it is a feast for the eyes as well as the tummy. If I had any painting talent, I would paint the breakfast photo because it is so beautiful to me. Along with B's breakfast feast, B offered cappuccino made in their fancy schmancy Italian industrial grade cappuccino maker. There is no perk or drip coffee here, it is all European espresso drinks here. OMG, ok! 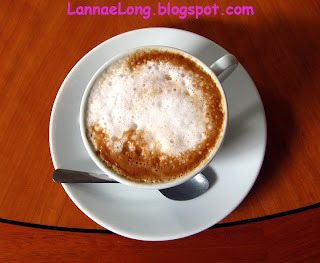 I just was in heaven sipping on the cappuccino B made for us. We probably took a few hours together snacking and tasting the breakfast buffet, and sipping on the coffee before we got on our way for more culinary touring of the 'Burgh. B's stress relief is cooking. I love B and his family for that. I love going to their house for the fabulous treats B wants to make. B has been taking time to follow the Michael Bittman philosophy of cooking - SIMPLIFY. 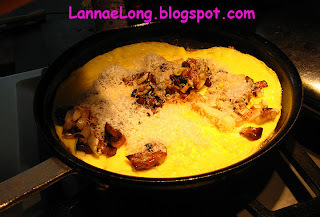 The breakfast meal was topped off with an omelet made with a variety of local organic mushrooms. Pennsylvania is the mushroom capital of the USA, and fresh woody, earthy, aroma of the mushrooms came alive in this omelet. I used to live in PA too, but on the east side, and I forgot how good fresh cut mushrooms can be. By the time mushrooms travel to TN, they have lost a lot of their essence, and many times it is like eating styrofoam. Not so in the center of the mushroom world, it is just devine. B recently renovated the kitchen and dining area to be more open and available for chit chat and relaxing with friends. B's family also renovated with re-used and sustainable green products. The most interesting thing about their new kitchen is the countertops. B had been talking about this for years, recycled material chemistry lab bench as counter tops, with sustainable bamboo cutting surface as one counter. Amazing. I want that. The chemistry lab bench is more expensive as a counter top than other synthetic and stone/granite tops, but it is so dang hearty! Drip, drop, heat, acid, drip away, nothing can hurt the lab bench. So, for the afternoon, we went to the Strip, yet another culinary highlight of my trip. The strip has a significant farmer's market on Saturdays, fire bread, a couple real fish mongers, Italian cheese shop, Italian cured meats shop, Asian market, Eastern European market, Penzy's, olive oil shop, pasta shop, coffee shop, biscotti shop, salsa shop, fresh tortilla shop, oh heck, every type of food you want. The Strip is really still of the European tradition of the marketplace. There are no chain grocers here, no big box stores, yet you can find everything you need, and more here, and it is all created and sourced with care. Because Nashville had more of the British immigration early on, and not really the culinary immigration from Eastern Europe or Italy, there is a real lack of Eastern European old world cooking traditions. 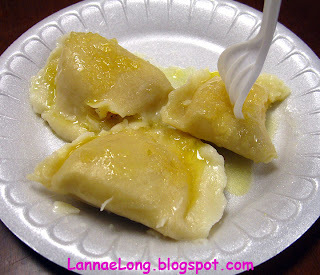 So, when ever I am in a place to get pierogi, I am going to do it. There is a new Eastern European market that just opened on the strip. It seems to be a family run business with the older adults speaking their mother language, and the teenagers helping at the register easily slipping into English and their parents language. I am not sure what language it was, but it was making me jealous that these kids seemingly spoke both languages perfectly. They would say, "Four dollars please. Enjoy the pierogi, we make those fresh everyday!" and then slip into explaining to their parents what they said to us. There was smiling and nodding between us. I was imagining that is how it was from my mom, who immigrated to the USA before she learned English. There must have been a lot of smiling and nodding. Anyway, this market has a lunch counter, and I ran in to grab pierogi to taste as a snack. Ah, yummy potato and cheese pierogi. Again, I was just giddy and laughing with my friends as we chowed down on this goodie. We continued down the strip to the Pennsylvania Macaroni Co., and other of my favorite shops to see what I could see, and see what foodie treats I could bring back to the house. I wish I could remember this cheese name, I must ask my friends if they remember. There was a new cheese at Penn Mac, it was from Vermont, it was an aged cow's milk cheese made with truffles. I got about 1/4 lb of it for us to snack on back at the house before dinner. I should have gotten a lb of this stuff, it was so good! The next morning, how lucky I was to wake up and find out it was the Pittsburgh Marathon day! I love running or is it jogging, I guess I mean staggering for myself at this point, and anytime I can watch or participate in endurance running, I am happy to be there. I walked from B's house to about mile 17 of the route and waited for the runners to come by. I had some coffee from the local coffee shop and had camera in hand. For what ever it was worth, the 2000 Pittsburgh Marathon was the men's Olympic qualifier, and I watched that unusually hot race. In 2000, it was over 80F, humid, and there were a bunch of qualified racers that did not finish this hilly marathon, collapsed or gave up. The front runners really did earn their spots on the Olympic team that year. 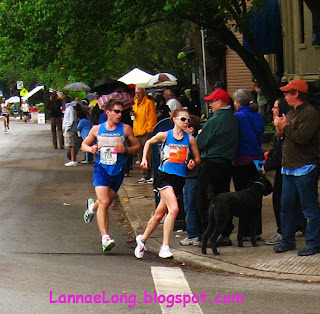 The Pittsburgh Marathon ran in 2003, and for a few reasons, the city stopped having the marathon until this year 2009. This year, the weather was just the opposite of 2000. It was a high of 50F, drizzly and then rainy. Anyone who runs, and have run in the rain knows that lovely wet running fabric rubbing on swinging arms and such. One marathon I ran was in the rain, and I still have scars from having my shirt hem cut open my arms. Anyhoo... This 2009 marathon was trying with the wet and cold weather. I had a rain coat, and I stayed long enough to see the 1st man and the 1st woman pass by me, and be able to take a snap shot of them, and to cheer them on. A little while later the rains really came, so the for the recreational marathon (like myself) it was harsh rains that poured on them causing stinging red, and cold chapped skin. I then remembered why I don't run in the rain anymore. If it is raining, I get to sleep in. Oh, I was so lucky to be able to be in Pittsburgh for this long time coming event. It has renewed my interest in the Pittsburgh Marathon, and I may just have to run it myself next year.